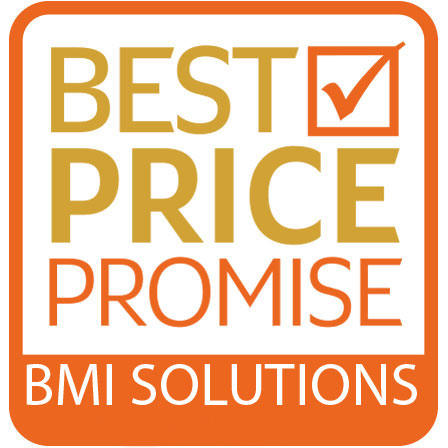 Create a better business environment with the support of a global leader in document scanning. 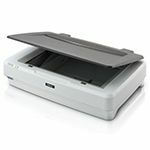 Where high-volume document scanning environments meet the need for document integrity the WorkForce DS-870 offers class-leading performance with easy-to-use features that put you in control of your documents. 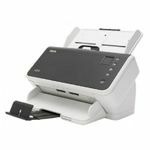 With a 100-page ADF (Automatic Document Feeder) 65ppm or 130ipm scanning speed and continuous scanning with an automatic feed mode the WorkForce DS-870 gets through large jobs quickly and efficiently. 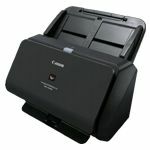 It also features high-speed USB 3.0 for fast data transfer with TWAIN WIA and ISIS drivers for enhanced compatibility with document management systems. 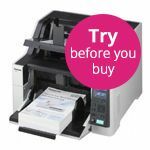 Users need not worry about variations in documents they need to capture – it offers Epson’s widest media handling from 27gsm to 413gsm and a long paper scanning mode up to 6096mm. 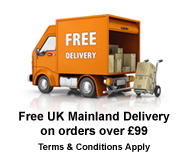 For documents that cannot be scanned via the ADF – three different flatbed solutions up to A3 in size are available. Slow mode decreases document friction by reducing the speed of the rollers making it easier to capture fragile or damaged documents without increasing file sizes. The Active Separation Roller System prevents tedious document double feeds ensuring every piece of paper gets scanned. Additionally the Double Feed Detection Skip (DFDS) function means you can scan difficult media like envelopes or documents with post-it notes. 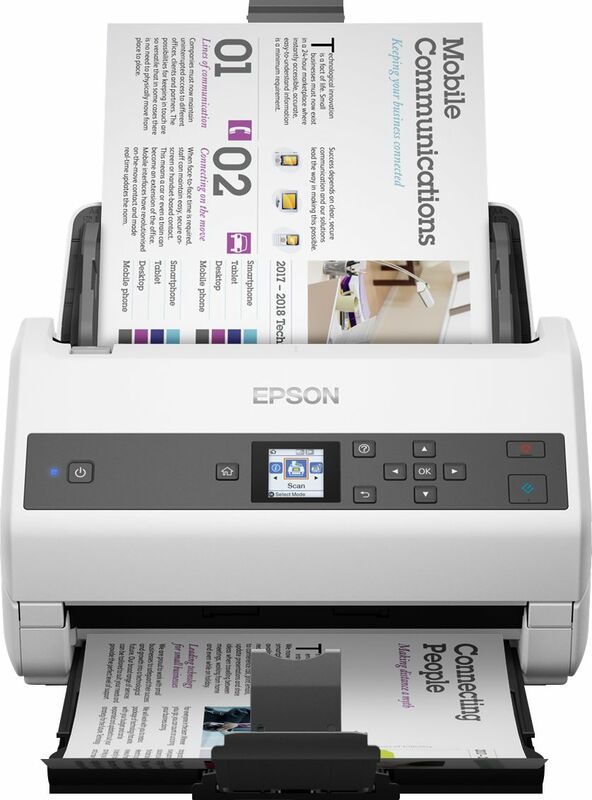 Epson Scan 2.0 software makes it easy to edit images with features such as de-skew and auto rotate while Document Capture Pro is the easy to use solution for capturing and storing electronic documents at the touch of a button.